Blogger tasting and impromptu LCA tour. Last Saturday, I headed to Mike's Pizza Bar for a blogger tasting (check out the pics on my Instagram) and everything was very tasty. 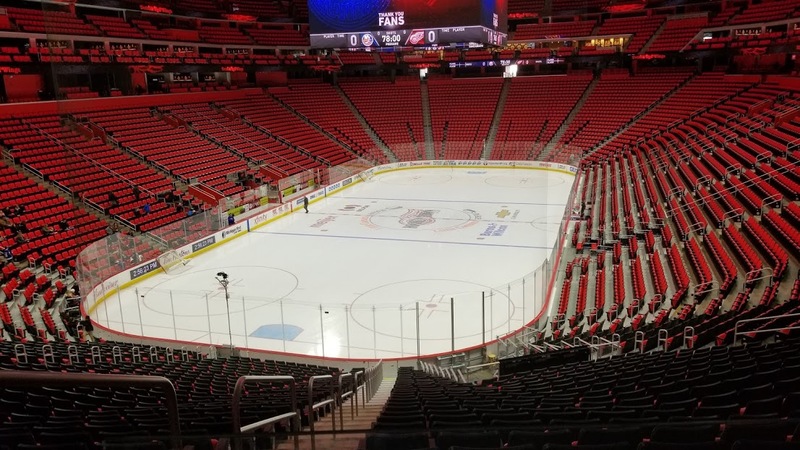 After the tasting, one of the employees showed us the ice being set up for the Red Wings game that night—I've never been to a Red Wings game, so this was pretty cool. Seeing movies, of course. Last Friday, I saw The Leisure Seeker with my parents, and it was really good—I'd give it 4, maybe even 4.5 stars out of 5. On Sunday, my boyfriend and I saw Chappaquiddick, which was also very good (3.75 out of 5 from me). I'm planning on seeing Finding Your Feet tonight, Isle of Dogs tomorrow, and Rampage on Sunday, all of which are drastically different movies, ha, but look good. Attending a Yelp event. On Wednesday, a friend and I went out to eat at 2941 Street Food, in Birmingham (one of my favorite Mediterranean places, and the portions are huge!) and then went to a Yelp event at Gazelle Sports, where we learned about proper running/walking footwear. 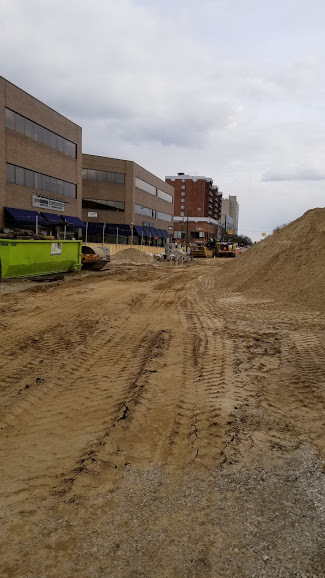 Birmingham (Old Woodward, specifically) is currently under construction and apparently the work won't be done until July, so heads up if you're headed there before then. Buying Walking Dead wine. I have a post to do about this, so check back in a few weeks for that, but I headed to the store last Sunday to buy two of these. The wine uses AR (augmented reality) on its label and it's a very, very cool experience. Going on a "field trip." A friend of mine hosts a Thursday get-together every week, where most of us bring books or laptops and get work done, and she also cooks dinner. This week, we went to the open mic night at Goldfish Tea (Royal Oak) which was fun—though the participants were mostly guitarists, there was a ukelele player and even a violinist, too.